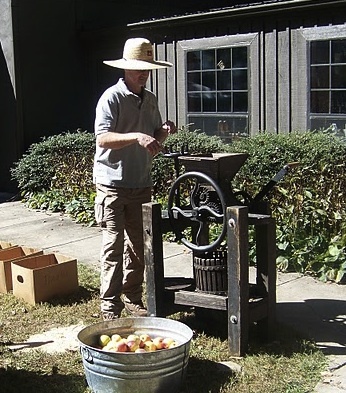 Friends of Georgia State Parks and Historic Sites serve as not only a revenue source for the statewide support of Georgia’s parks and historic sites, but also as the venue for volunteer groups sharing common goals while they serve through local Chapters. The unselfish efforts of Friends groups, though not always visible, are extremely important to the well-being of the State’s natural and recreational assets which visitors and residents alike get to enjoy every single day. More than ever, due to ever-growing budget constraints, many of our preserved wooded lands and shorelines would be adversely affected if it weren’t for Friends Chapters doing their great work across the state. As time goes on, the deliberation of state and federal spending for cultural and recreational areas will continue, that is why it is so important for volunteers to keep offering their time and talents towards the needs of local parks and historic sites. As members of the Friends of Georgia State Parks here at Smithgall Woods and along with other park volunteers, we have the opportunity to share in projects that give us a lasting sense of pride and accomplishment both individually and as a group. Some of these projects are listed below with brief descriptions. This is, by far, not a complete list! Friends Tuesday – These monthly meetings on the first Tuesday of the month are a good place to learn more about volunteer activities at Smithgall Woods. It is also a place and time for planning and coordinating projects within the park. Hemlock Keepers – Volunteers survey Hemlock trees while checking for signs of Hemlock Wooly Adelgid infestation. These surveys help the park manage treatment for the parasite. Cottage Garden – This garden, located among our rental cottages, is a lovely flower garden. 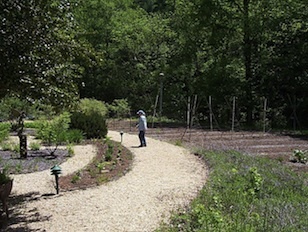 In this wonderful setting next to Dukes Creek, our volunteers help prune Blueberry bushes in February, weed the pebble pathways and maintain the flower beds. If you or someone you know is interested in the chance to “give something back,” discover how to become a friend or volunteer.